The labor required from Mr. Wright is simply immense. 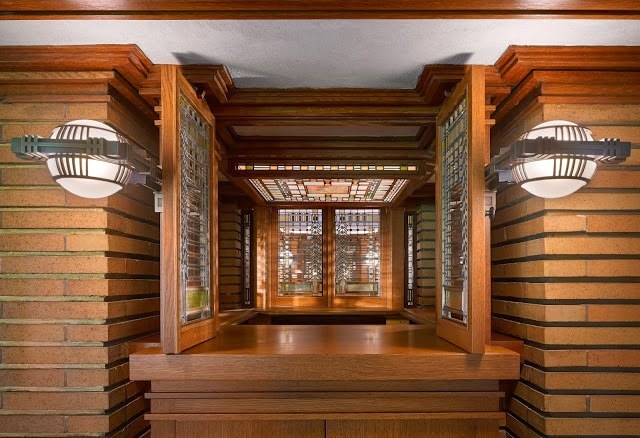 You ought to come to Chicago and spend two or three days in his office and you would then better understand how they are able to arrive at, and create such homes. Mr. Wright showed me several sheets of paper on which he had been drawing designs for the glass for your barn [carriage house], and had only just arrived at what he wanted. Any one of the designs that he had discarded would have satisfied an ordinary man, and only he knows when the thing is right or wrong, and unless he gets it right he keeps on trying. It is the same throughout the house. His tracing cloth shows the results of his labors, as it is ragged in many places where changes have been made repeatedly. 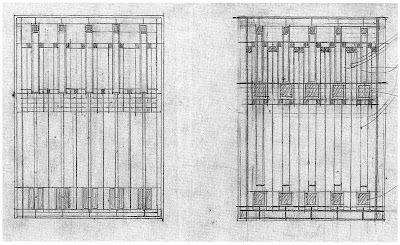 Later, Wright himself would say "an architect's most useful tools are an eraser at the drafting board and a wrecking bar at the site." 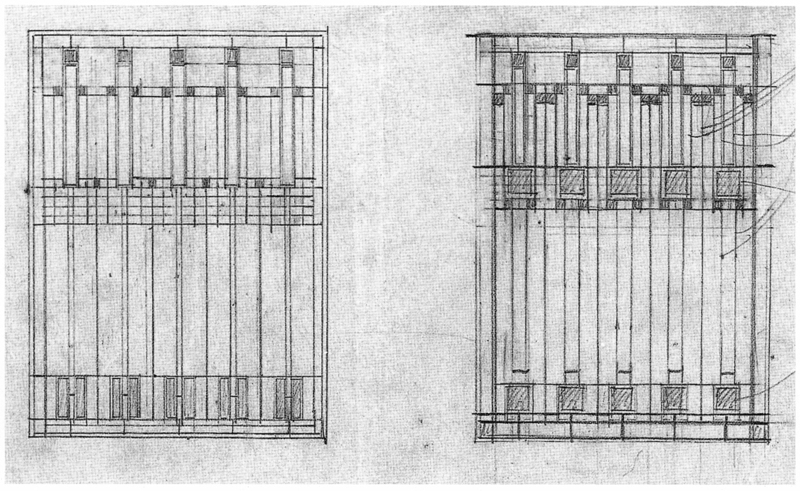 Fortunately, not all of Wright's experimental sketches for the Martin carriage house glass design were erased: one variation of the window design remains, on the same sheet with the ultimate design (below).